The Yamaha YZ250X off-road two-stroke is back for 2019. It remains an off-road derivation of the YZ250 motocross bike. It has wider gear ratios, a different cylinder, a more tucked in exhaust pipe, softer suspension, an 18-inch rear wheel and a kickstand. 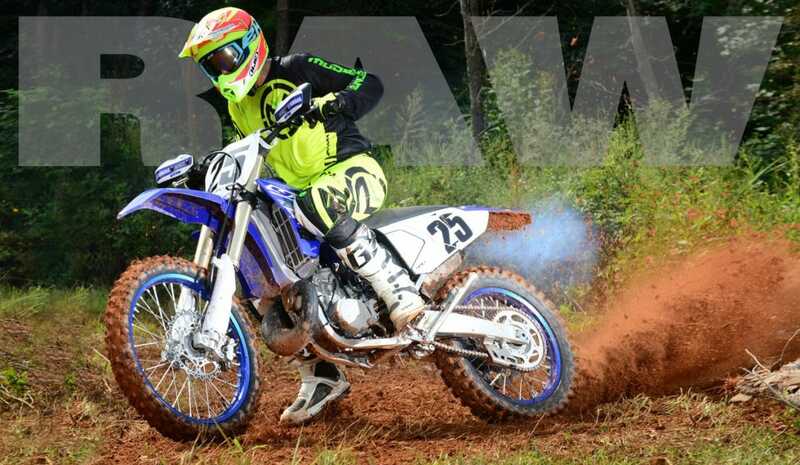 We recently traveled to Union, South Carolina, to ride the bike on the home turf of the Ampro Yamaha off-road team. While we were there, we shot some action of Pete Murray riding the new bike–no words, no talking heads and nothing to interfere with the sweet sound of a two-stroke in the woods. Enjoy!